Are the Rich Really Getting Richer while the Poor Get Poorer? 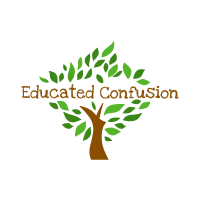 | Educated Confusion Educated Confusion | Are the Rich Really Getting Richer while the Poor Get Poorer? Are the Rich Really Getting Richer while the Poor Get Poorer? Dr. Steve Horowitz says “No. This is just a myth.” Here’s his explanation. A) The rich make more money now than they did in the past, while the poor make less. B) Real income of the rich has risen over time while real income of the poor has dropped over time. C) The purchasing power of the rich has grown over time while the purchasing power of the poor has declined over time. D) The real income ratio between top earners and bottom earners has grown larger over time. It’s not necessary that all of these are claimed when one says “the rich are getting richer…,” and not all of these are myths. Indeed, right at the beginning Dr. Horwitz noted that (D) is true. If all one means by “the rich are getting richer…” is (D), then it’s not a myth, pure and simple. But what about (A-C)? Let’s reflect on these claims a bit (we don’t need hard data for this, per se, butÂ we can discuss those in the comments, if necessary). The point of Dr. Horwitz’s argument was to show that these are untrue. It’s obvious that (A) is untrue. The poor have a larger dollar amount listed on their paychecks now than they did in the distant past; but this is largely uninteresting, since what’s important is not merely how much money one has (i.e. it’s largely worthless by itself), but its value as a means of exchange for goods and services. That is, what’s most important is the purchasing power that money provides. With greater purchasing power comes greater ability to relieve oneself from dire conditions. (C) is the interesting claim, but unfortunately, Horwitz focused only on (B). Is (B) untrue? Well it depends on whether we’re talking about households or individuals. Horwitz’s argument essentially boils down to this: 1) real income has risen for everyone over time and 2) most of those who start off poor end up rich, therefore 3) the the poor are getting richer. If we’re talking about real household income, the argument is unproblematic. But the number of single income households has declined drastically since the 70’s. Adding another income stream to a household (which also happens when people get married) will increase real income for that household, even if real individual income remain stagnant, which is precisely what has happened over the last forty years. In other words, households have a higher real income, but it has also required more hours worked per household. But what is omitted from the presentation is the most telling. Purchasing power is dependent not only on how much one earns, but also on the cost of goods and services. While some goods have come down in real price over the past forty years (e.g. computers, and certain foods), others have risen quite rapidly (e.g. housing, education, gas & electricity), leading to an overall higher real cost of living. On top of that, credit was introduced as a means of enabling those whose wages plateaued to have at least the sense that their purchasing power was growing. We all know how that turned out, though. The real cost of goods & services purchased with credit went through the roof after compounding interest paid on those goods & services. What’s the result? At best, the working class has endured purchasing power stagnancy; at worst, they’ve suffered a decline. On the other hand, rich households (i.e. households who own large shares of a company or companies) made far more money as a result of stagnant working class real wages (less or stagnant wages = less overhead = greater profit) and investment in the booming credit/financial industry. (C) is pretty much true. So if one means (A) or (B unqualified) when one says “the rich are getting richer…,” then, yes, it’s a myth. But if one means to claim something like (D), (C) or (B – with the proper qualifications), it’s not nearly as easilyÂ dismiss-ableÂ .